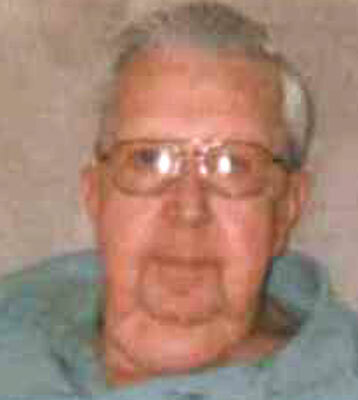 NILES – Paul Patterson, 81, passed away Saturday, Sept. 13, 2014, at Vista Center at the Ridge. Paul was born May 28, 1933, in Lisbon to parents Hugh and Ruth (Weekly) Patterson. He served his country proudly in the U.S. Army. He married Dolores A. Bell on Sept. 3, 1961, and together they had two sons. Paul worked for Sharon Steel in management, retiring in 1993. He enjoyed wood working and loved working on family genealogy and history. Survivors include his wife, Dolores; sons Dennis L. (Lois) Patterson of Salem and Douglas Patterson of Niles; brother Jim Patterson of Minerva; and grandchildren Zachary, Tiffany, and Tyler Patterson. He was preceded in death by his parents; sisters Agnes, Katie, and Wanda; and brothers Jessie and Hugh Jr.
Visitation will be Tuesday, Sept. 16, 2014, from 5 to 7 p.m. at the Lane Family Funeral Homes, Niles Chapel. A graveside service will be held at 11 a.m. on Wednesday, Sept. 17, 2014, at Green Haven Memorial Gardens in Canfield.